Accounting and Financial arrangements are at the backbone of the normal functionality in a successful company. Employers will always be looking to hire people with a strong educational background in Accounting and finance. A degree in Accounting and Finance will pave your way to a delightful career in the future. That said, accounting and finance graduates are much-desired employees. But the competition is fierce. To ease this competition, you need to seek a world-class education which ultimately will set you apart from the crowd. This is what Accounting and Finance universities in UK will offer you. The School of Management at the University of Bath is valued to be one of the best accounting and finance schools in the UK. Study programs at this university are designed to offer their students a great opportunity to gain applicable skills and knowledge. At the end of the course, you’ll be ready to use your academic gains in a real-life financial setting. At the postgraduate level, the university offers a MSc degree program in Accounting and Finance. In this study program, you’ll expand your knowledge over essential topics in financial systems gained in Bachelor. Furthermore, there will be added expertise from other departments like Mathematics so you adapt excellent skills in working out the numbers. Accounting and finance study programs are some of the best and most popular at the University of Loughborough. Many recognized bodies of accounting and finance have approved these courses as highly reliable for the labour market. These programs aim to equip their candidates with the minimum required level of expertise in accounting and finance so they will be able to use their academic competence in a wide range of financial settings afterwards. They’re designed in such way so the students can easily follow the pace of learning, starting from the most basic concepts in the first years toward deepening their knowledge at more complicated topics in the preceding years. Highly qualified tutors will be standing by to advise you and evaluate your improvement. Their continually provision and guidance will help you get through different struggling you may have with studying. You also will have the opportunity to practice your knowledge in real-life situations. Leeds University Business School is a center of excellence in teaching and research. Study programs in Accounting and Finance are some of the most popular at this university. They offer a deep comprehension of financial planning in a company, covering from the most basic concepts in accounting and finance to some of the biggest issues one business can have. In line with this, tutors at this university will support you to establish a strong basis of advanced knowledge. For the duration of your studies aside from academic credits, you’ll also gain strong personality traits which will indicate your critical thinking and your management of tough situations. Department of Accounting and Finance at the University of Strathclyde is one of the most reputed at this university. Thanks to their performance, this department has become a major center of research in accounting and finance. Its student body is very diverse emphasizing this way its excellent reputation among talented scholars. At the present, the Accounting and Finance Department is hosting international students from countries as far as Australia, Bolivia, India and Tanzania. Study programs in Accounting and Finance at this university cover a wide range of topics like corporate finance, treasury management, derivative markets, bond markets, portfolio performance, volatility in financial markets, international banking, critical accounting, management accounting, social etc. At the University of Buckingham, you’ll get a well-rounded education covering most important accounting and finance issues encountered in financial systems. Your prospective employers afterward will have a candidate who has an intellectual and a personality potential to deal with every kind of problems their company may face. London School of Economics is one of the best universities in UK and worldwide. Their study programs in accounting and finance are valued as some of the best approaches to financial management. Furthermore, their curriculum is constantly shaping itself to adjust to the most actual problems business organizations face daily. 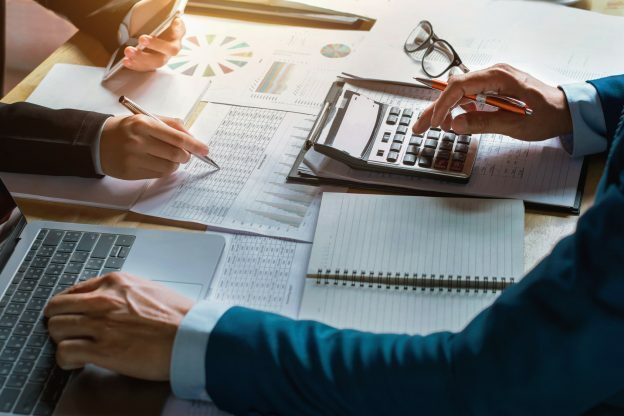 By getting a degree in the department of accounting and finance you’ll possess a strong reliability in managing various financial struggles companies and organizations can have. As such, their graduates enjoy a higher employability in the labour market. School of Economics, Finance and Management at the University of Bristol is a great opportunity for you to gain an exceptional level of preparation in the area of accounting and finance. Here you can find various study programs, and chances to find something that suits perfectly your interests are higher. Jointly to establishing a strong basis of knowledge around core concepts, these programs will expand and strengthen your understanding of finance topics. The courses involve additional activities like a semester abroad to make your studying experience much completed. Accounting and Finance study programs at the highly reputed University of Warwick are designed to help you develop fundamental skills and knowledge around financial issues. Their curriculum tends toward a refined approach always in compliance with the ever-changing demands of the business world. You will not only get academically prepared to carry on the financial processes in business companies, but you will also develop interpersonal and leadership skills, which are a key point to succeed in this industry. Following the completion of your Accounting and Finance degree at this university, you will be targeted by numerous potential employers. They will look toward your education as an insurance you have the professional competence and personal confidence to maintain their finances. The Welsh university offers some excellent accounting and finance study programs to you. The structure of the Accounting and Finance modules at the University of Exeter will make it easier for you to follow the pace of teaching. In the first year of your studies you will be introduced to many basic concepts around financial issues and during the preceding years, you’ll learn about many specific topics. Your Accounting and Finance degree here will open countless job opportunities in your future. The University of Nottingham Trent has established study programs in Accounting and Finance to prepare candidates, who are ready to carry on the responsibilities of an accounting and finance professional and confidently face daily problems in the world of business. The structure of modules in these study programs is made that way so you have constant engage in group discussions over different situations you may encounter in accountancy. This way you’ll improve your critical thinking abilities, your decision-making and the sense of belonging to a group of shared interests. Optionally, courses may have a placement year, so you can put your knowledge into practice and get tutoring from experienced professionals.